IT IS DUSK on a hot day in Dorset when a young woman steps into the sea. She is wearing a swimsuit and a Native American Indian headdress. She picks her way carefully through the water to a tiny island and turns to face a man with a camera. Through binoculars you can see that the girl has war paint on her face. Sea birds cry overhead in the still, warm air. It’s a photo-shoot. The girl is a model – but what the photographer can’t see is the silhouette of the girl shadowed against the silver and bronze water of Poole Harbour in the twilight. It is a lovely image. We’re at the four star Sandbanks Hotel watching from the balcony of our bedroom. The hotel is large, rambling and in need of some modernisation – but its location is spectacular. 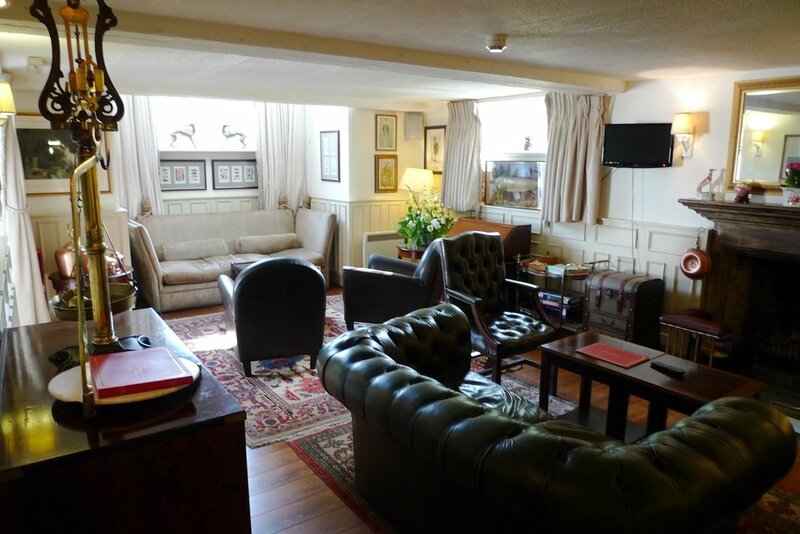 The rooms on one side overlook the harbour; on the other they overlook the English Channel. On the Channel side at ground level there is a bar and restaurant open to the beach. The staff are friendly and the food is good and the hotel is popular with families. Sandbanks itself is an isthmus curling across the entrance to the harbour – and, surprisingly, the fourth most expensive place in the world to live after London, Manhattan and Moscow. Houses here can cost more than £10 million. Eight years ago, before the financial crash, a tiny, dilapidated bungalow sold for £3 million: its garage alone was valued at £200,000. This is Britain’s Palm Beach – home from home for celebrities like football manager Harry Redknap and rock star Noel Gallagher. The weight of money pouring into property here has had a strange effect. The houses are all different, of course, but the architecture swings from American colonial to Art Deco to Modernist to Betjeman-style Metroland within a few hundred yards, reflecting the taste of the original buyers. There’s a hint of Disneyland about it: it is an artificial place. 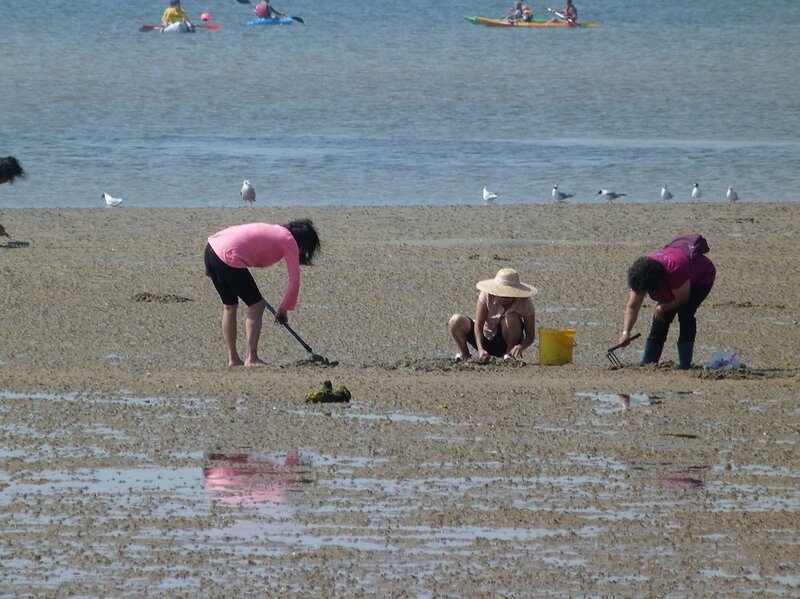 At low tide, out in the harbour, Chinese cockle pickers fill plastic buckets with shellfish and families paddle in the shallow water. It is beautiful, and strange at the same time. Brownsea Island, in the middle of the harbour, is owned by the National Trust. 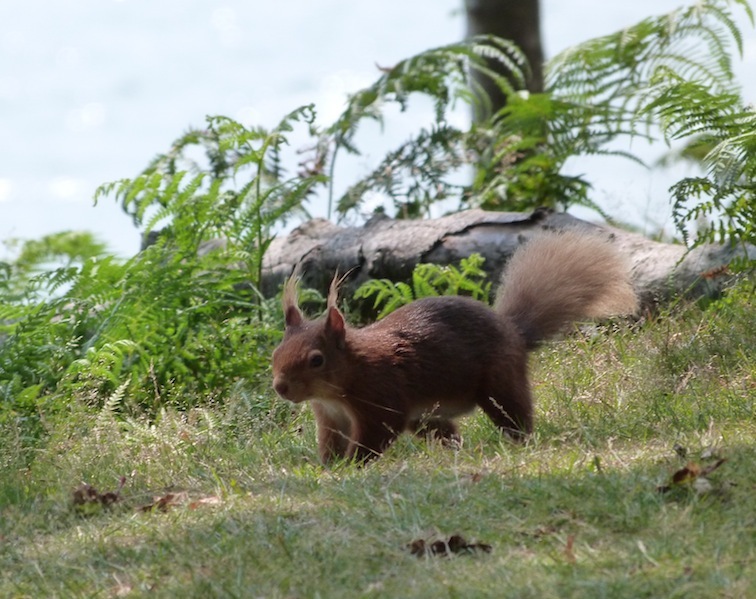 Walk to the end of the isthmus, past the grand houses, and you can take a ferry across to Brownsea, home to one of the last populations of red squirrels in England. It’s a wild place to find at the heart of such visible wealth. Watching white egrets in a wetland meadow at the centre of the island, we are suddenly aware of a deer bounding towards us through the reeds and it is like being on safari. Out in the harbour, the yellow ferry steers a straight path through dozens of sailing boats and common and sandwich terns dive for fish in the choppy water. The wealth of many individuals may have contributed to the jumble of architectural styles at Sandbanks, but it was the wealth of a single family that determined the vernacular architecture of Evershot. A tidy hamlet off the A37 between Dorchester and Yeovil, Evershot was one of the villages on the Earl of Ilchester’s Melbury Estate. The cottages and grand houses are all constructed in the same Forest Marble limestone, which gives the village a consistent blue-grey colour and there is thatch and plain clay tiles on the roofs. Many of the houses have doors painted in the same shade of blue. One, at the top of the village, was once owned by the actress and pop star Toyah Wilcox. There is a church, a pub – The Acorn – a village bakery, a post office and shop and a school. There is also a hotel, Summer Lodge, with 18 rooms and six suites, including the free-standing Ivy Cottage. It is the perfect English village with a resident population of just 181 people. What is not so evident is that Mrs Beatrice Tollman, founder and president of Red Carnation Hotels, and a recent European Hotelier of the Year, has taken a special interest in Evershot. Red Carnation bought Summer Lodge – a former Dower House for the Ilchester family – in 2003. The luxury hotel group now owns the pub too, and when the shopkeeper retired Mrs Tollman bought the shop and post office to make sure it remained open. The hotel group also bought a rambling house on the high street as staff accommodation. We are staying at The Acorn – depicted in Thomas Hardy’s Tess of the d’Urbevilles, as The Sow and Acorn. It is noted for its food and its styling is more luxurious than a normal pub would usually be. Our room has a four-poster bed and the lounge displays Mrs Tollman’s keen eye for an elegant, layered, eclectic interior design. The pub is run by Alex Mackenzie, who was born not far away and attended the local school, and her husband Jack – a South African who signed up as a chef long before Red Carnation took over. The deal is that they both manage the place, but that Jack returns to the kitchen to cover holidays and staff shortages. On the day we meet, he first nods at us affably as he crosses the pub car park with fresh herbs from the garden. The pub has 10 guest rooms – all different – including a suite with two bedrooms, and a restaurant that can take 50 or 60. It also has a skittle alley, which is sometimes used for wedding receptions. In the evening, we dine on pan fried scallops with black pudding and pea purée and twice baked Dorset blue cheese soufflé with a fig and pomegranate salad, followed by confit of Gressingham duck with vanilla mash, seasonal vegetables and red wine jus and rump of Dorset lamb with celeriac mash, green top carrots and juniper berry jus. It’s reasonably priced and the food puts many lauded London gastro pubs to shame. It is really good. Breakfast in the Sandbanks Hotel was the usual hotel buffet: not bad, but not great either. But breakfast at The Acorn is magical – with local eggs and bacon, Evershot bakery bread and a local black pudding that is closer to the velvety boudin noir I would expect in a French bistro in Paris. Over the road – literally – at the Summer Lodge, Red Carnation is selling serenity. The hotel is quiet, beautifully designed (in part by Thomas Hardy), off the beaten track and has a spa in its grounds. Some people come here to escape: others come for the food and wine. Head sommelier Eric Zweibel has just returned from Tokyo as we drop by. He’d been there to represent the UK in the World’s Best Sommelier contest and we are told that he was disappointed to have come fourth – he thought he might win. In the kitchen, Yorkshire chef Steven Titman makes the best of local and seasonal produce – including venison from the 9,000 acre Melbury Estate and locally shot partridge, pheasant, pigeon, duck and woodcock. The hotel bristles with awards including Most Outstanding Service (Condé Naste) and Best Cheeseboard – with 27 cheeses on the trolley, all bar one (a Stilton) produced locally, and half a dozen produced within ten miles. Those who try the Wookey Hole Cave Aged Cheddar (made in Dorset, but aged in the Somerset cave) are invited to take a glass of Black Cow Vodka, made locally from the whey of the cheese. The gastronomic experience extends to the outdoors too: guests are allowed to walk through the 600 acres of the Melbury deer park, and foraging events featuring John Wright (River Cottage) are offered free to guests half a dozen times a year. The relationship between The Acorn and Summer Lodge is symbiotic and subtle. A wedding at the hotel may be followed by a night in the pub. A guest staying at The Acorn finds she has access to the spa at Summer Lodge. Alex Mackenzie – whose children attend the village school – tells me that it’s a relationship that works really well. And it’s not a bad place for a holiday either. Two and a half hours from London, local attractions include the Jurassic coast, one of Britain’s best clay-pigeon shooting centres, the Haynes Motor Museum – with a room full of red Ferraris, the Olympic sailing course and the world’s largest collection of military tanks at Bovington. Or you could just spend a few days touring the local food producers. Oddities include a farm producing the second hottest chillies in the world.